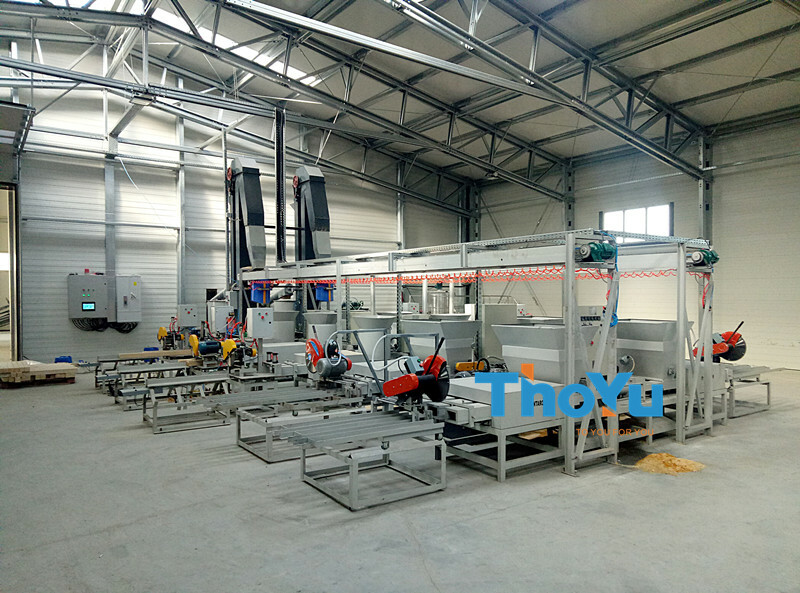 Automatic pressed pallet block production line installation is smooth in Romania in March, 2019. The following is the pictures of automatic pressed pallet block machine running site in Romania. 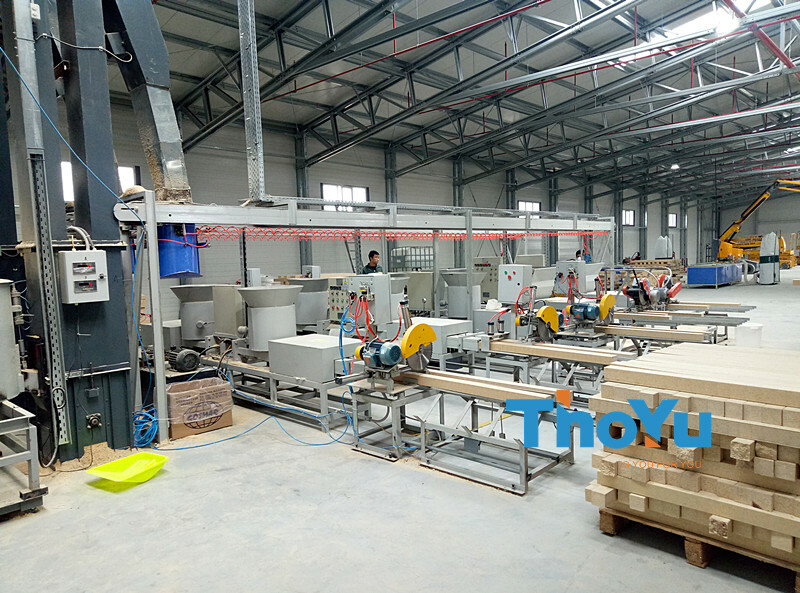 All the machines are 3 sets of double-head pressed pallet block machine and three-head pressed wood pallet block machine, and corollary equipment such as wood crusher, wood drying machine, glue mixer and automatic pallet block cutting machine. Besides, we also equip with conveying equipment, which save the labor cost. The Romanian customer is the beginner in the wood pallet industry. And he started from buy pressed pallet block machines. 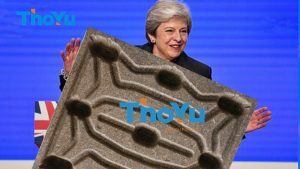 ThoYu provides them with detailed drawings preliminarily, production process guidance and the full sets of equipment. Meanwhile, we also provide the full set of installation services and perfect after-sales service. And we are ensuring the continuity of production. In addition, ThoYu will give the right proposal for production quality control timely. And we ensure that our Romanian customers can produce more excellent and more competitive pallet blocks in their local market. Our sales manager and technological persons went to Romania to give the on-site guidance of machine installation from 19th February, 2019 to 23rd March, 2019. Pressed pallet block machines installation process is very smooth. And the following, we had the commissioning. All the machines of automatic pressed pallet block production line are running well. Hence, Tunisian customer is very satisfied with the whole automatic pressed pallet block production line. The final pressed pallet blocks are very beautiful. 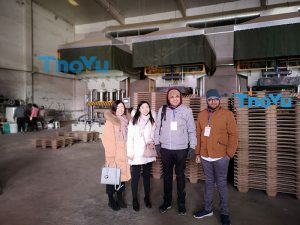 ThoYu, as the professional pallet machine manufacturer, is devoting ourselves to updating pressed pallet block machine. 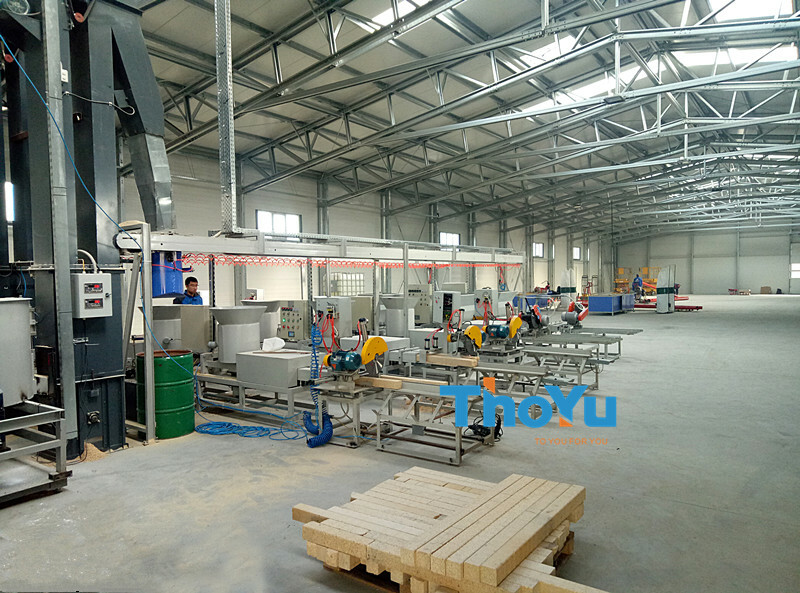 Besides, ThoYu provides the installation service of automatic wood block production line, along with commissioning all over the world. Pressed pallet blocks are the essential parts for wooden block pallets. And the pressed wood block is better than the traditional block. The traditional block is made of log or timber, so the price is very high. Moreover, the timbers’ price is up recently, so the price of block is rising also along with them. However, pressed wood block is made of wood waste. It not only solves the problem of wood waste disposal, but also gain more added value. Our Romanian customers have abundant raw materials. And their raw materials of pressed pallet block are broken wooden pallets. Hence, they can reduce the production cost, and also get the return in the short time. In addition, the final pressed wood block is superior in performance. Insect prevention, protection against termites and do not easy to burn. Oversea installation is available for every customer abroad. And we had installed a large amount of pressed wood block machines in many countries, such as Spain, Greece, Tunisia, Romania, Dubai, Ukraine, Mexico, Argentina, Peru, South Africa, Philippines, India, and Indonesia. What’s more, we serve clients sincerely and also get win-win cooperate with the clients at home and abroad. If you have any question, please contact us via email sales03@thoyu.com.